I haven't posted in this blog for more than three months. It seems being a blogger is not necessarily a way of life after all. I'm feeling very ambivalent about it. Part of me wants to formally conclude the blog, as if it was a book that has an ending. Another part wants to keep my options open. Anyway, it's spring, and here's a few shots of my spring garden. It has rained recently, so that was a big relief to me and the greenery. The garden's mostly doing well, except the tall Agonis flexuosa, aka Willow Myrtle, in the back is dying from lack of water. It's lived for over 30 years, but apparently they can live much longer. I don't feel distraught though - it simply wasn't meant to survive longer in that spot. I'll leave it there and birds can still sit in its branches, and the possum nesting box is still secure. Nice spring flowers as you can see, but distressingly few insects. Usually bees going crazy in the poppies, but only a few this year. I've seen the occasional moth, butterfly and hoverfly but not nearly as many as in the past. I saw only one single damselfly. Plenty of birds though, regularly visiting the clean water bowl. Mostly large birds - magpies, ravens, pied currawongs, little wattle birds, blackbirds, pigeons - and occasionally delightful flocks of small insect eating birds, thornbills and wrens and finches. Take your time in deciding what you wish to do in terms of blogging. In many things in life we come to the end of an interest and move on to something new. Other times we rediscover an old passion and attack it with renewed vigour. In the meantime we will continue to enjoy your delightful posts. Hi David, Wise words. I find this really helpful. Sporadic is OK. I haven't lost my passion for gardening and nature. I appreciate your cyber-warmth! Wow vertical wall - one of the most beautiful I've seen - perhaps because it is small enough to be loved and cherished! I hope you will drift back to your blog sometimes. No 'need' to close it, unless your life makes other plans. I wonder what the insect- eating birds are finding? We've just had an outbreak of massive bee deaths, thanks to 'careless!' insecticide use against ants in the Constantia vineyards. Previous incident was permits for hunting baboons. Hi Diana, it's a wonderful vertical wall. I admire this as an idea, but I don't get how they don't dry out. I have also wondered what the little insect eating birds are eating. Whenever I see them I'm happy and also relieved that they have managed to evade the big bully birds. Thank you also for your wise words. It's almost as if I needed permission to not close the blog but just to blog occasionally. It is worrying when the insects disappear. Lets hope as the Spring progresses they increase substantially and attract even more birds. A lovely post. At this moment I envy you the warm weather, it is very cold here. Hi Cheryl, That's what I love about blogging - we are from all over the planet. It has rained a lot the past few days. Very unusual. The garden can't believe its luck. Hope you manage to rug up and be cosy in the cold. Lovely to see you pop up in my reader. Do whatever is right for you, but on a purely selfish level I do hope your keep your blog. Love your garden (yay rain) and am impressed by that vertical garden. Hi EC, Isn't this rain amazing!!!??? I intend to still pop up in your reader, but maybe not so often. And I will do the same with visiting your wonderful incredibly popular blog. It's nice to see a post from you again, Sue. I enjoyed your spring blooms and I share your alarm with the reduced number of insects. While bees (and ants!) are still plentiful in my own garden, I saw far fewer moths, butterflies and even spiders this year. I'm blaming our ongoing drought. We've got a good chance of light rain tonight after another spate of horrible wildfires devastated our state but that'll be our first rain since the half-inch we received in early October, which in turn was the first rain since April. I can't imagine not taking photos of my garden - and other gardens - and I appreciate the opportunity to share these on my blog, although I can envision further reducing the frequency of my posts. I opened an Instagram account this summer to experiment with another option but, after an initial flurry of posts there, I've dropped my posts there to a more occasional event. It doesn't give me the satisfaction of telling a story and the random presentation of posts from others reminds me of flipping through a magazine while waiting in a doctor's outer office. Best wishes with whatever you decide but I'll be pleased to read any casual posts you choose to publish. Hi Kris, Instagram doesn't appeal to me either. I do love the blogging community we are in, so why deprive oneself of such a good thing? It's so scary what has happened to all the insects! I'm sorry to hear of the terrible fires in California. That must also hugely impact the wildlife population. So good to hear from you again, your posts are always so interesting, I hope you do continue, even if it is infrequently. Fewer bees is very worrying and also other insects too, I hope they increase as spring progresses for you. You have lots of beautiful flowers and the living wall is amazing! Hi Pauline, good to hear from you too! I'm so relieved I've decided I'm not going anywhere, or rather, I'm going places (sounds like Dr Seuss) but will come back here whenever I want. Found you by way of Cheryl. I can certainly relate to your ambivalence. I blogged regularly for years, then gave up, then went back, now it's sporadic. I miss my blogging buddies, but life has a way of taking you outdoors, somewhere else - anywhere but at the computer. I do love that you are in spring. We, in Canada are in fall and unusually cold right now. It is worrying that bees and other insects seem to be on the decline. I've planted milkweed, but it doesn't seem to make much difference. Hi Wendy, so good to find a new cyber friend, and a similarly inclined sporadic blogger too! Even milkwood not attracting insects - that's a worry. Keep warm in your cold fall. You're blogging, Sue and anyway I love reading your post. Happy new spring! My garden sleeps under old leaves and sometimes fallen snow. happy spring to you, Nazedva, and I hope your garden has a good sleep and emerges as lovely as ever. What is that 4-bloom creamy white flower? A rose? Hi Linda, I was a bit lazy not labelling the photos. Yes, it's a yellow Banksia rose, absolutely divine for the 5 minutes or so a year that it blooms. Your Spring garden is looking wonderful and no doubt the insects will become more bountiful. I do like your neighbours vertical garden, got me thinking. I understand what you say about blogging but I hope you don't give up. I always think it will be there waiting for me when I feel more enthusiastic. To be honest I can't stop, I am on a mission to profile every plant I have ever grown. Makes it easier as I don't have a problem thinking of what to write about. As I always thought, Alastair - you are a man on a mission! I don't think I'll give up blogging either. Hi Sue, so nice to hear from you again. I haven't posted on my blog either in the last two months. There just isn't enough time. I hope you will keep blogging occasionally. I promise I will. You spring garden looks beautiful. Hi Denise, lovely to hear from you too. It's a deal - we'll both keep blogging, and keep in touch, even if it's not often or regular. Sorry to hear your Agonis is not doing well. it is such a graceful tree. The neighbor's vertical planting is impressive. How is it kept watered? My blog is really to record what I planted, what blooms when, and to see growth/success/failure of plants over the year. That it brought garden blogger friends and stories of wonderful gardens from all over the planet to my attention was the unexpected bonus. Your posts are lovely, quality over quantity! thanks for this, HB. 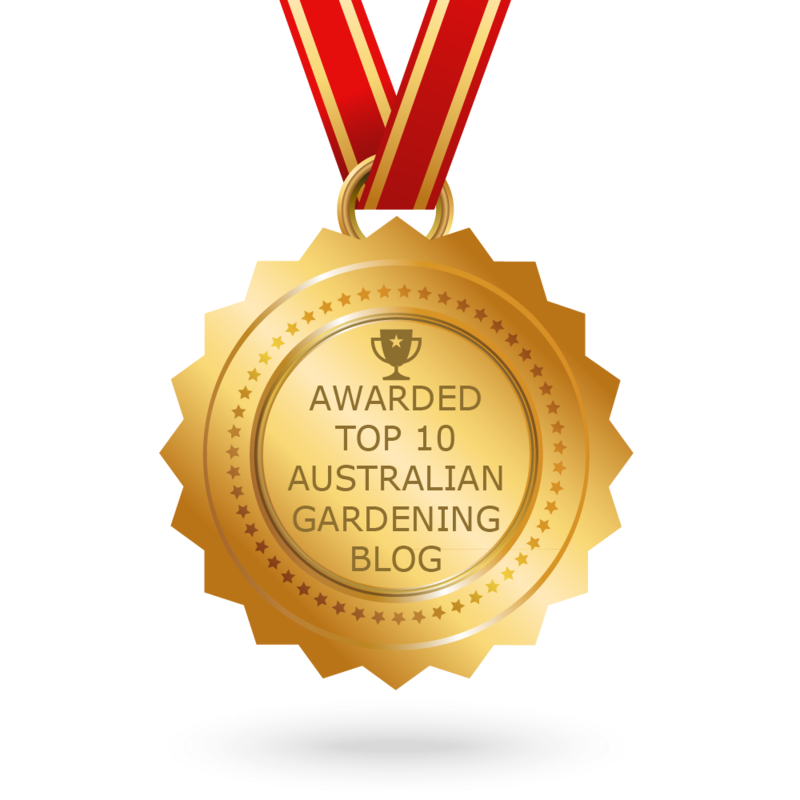 I started blogging for the same reason, to record the progress of my garden, and it led to being part of a wonderful worldwide community of fellow nature lovers and nature supporters. Hi Sue, your spring garden is beautiful. I am amazed at your neighbor's vertical wall garden! I have enjoyed your posts over the years and your views from a different part of the world. I am in my tenth year of blogging, and I think it may be my last. I still post about twice a month, but I don't see myself doing this forever. I feel your same ambivalence. But every time I think of formally calling it quits, I get a message from some enthusiastic new follower! Hi Deb, let's not stop. It's like working. I try not to retire, just work more and more part time! That vertical wall garden is quite special, isn't it?